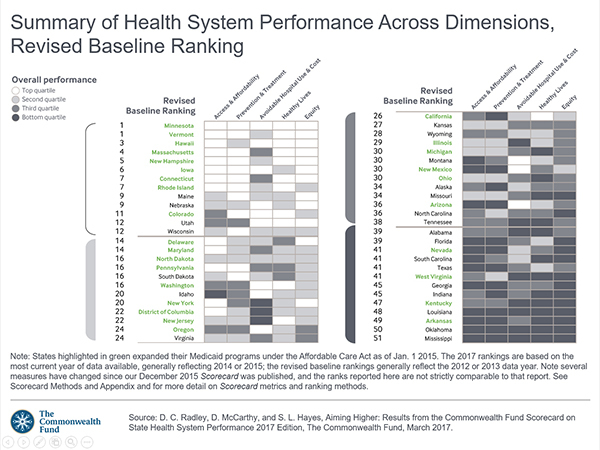 METHODS: States are ranked on 44 performance measures using recently available data. 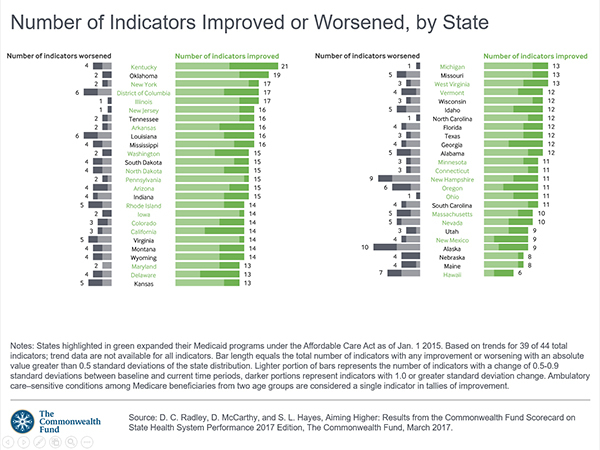 KEY FINDINGS: Nearly all states improved more than they worsened between 2013 and 2015. 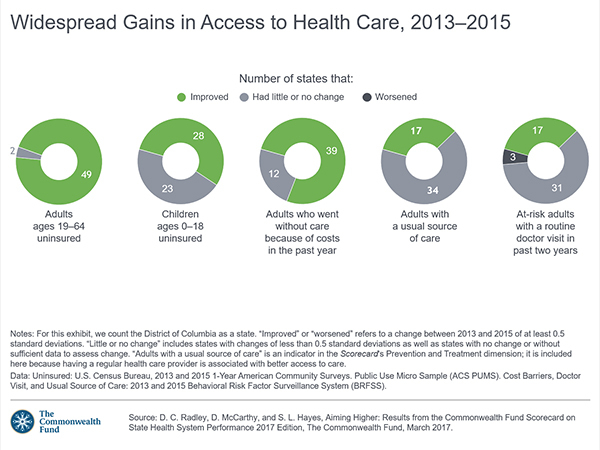 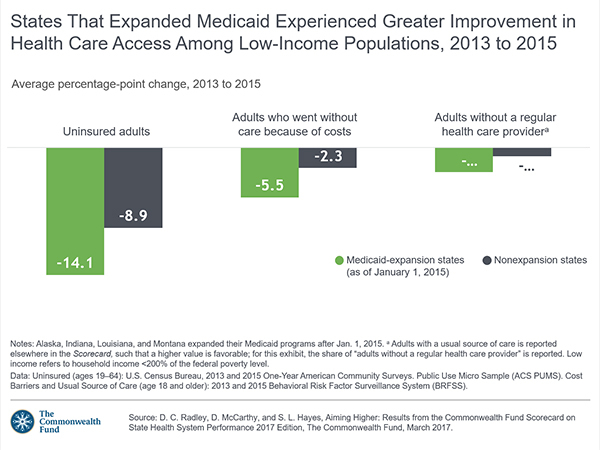 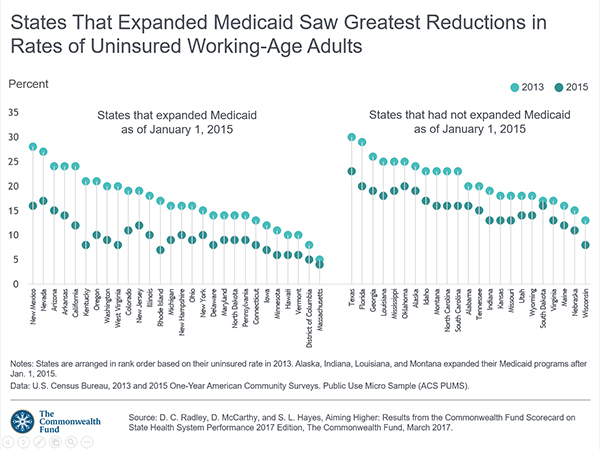 The biggest gains were in health insurance coverage and the ability to access care when needed, with states that had expanded their Medicaid programs under the Affordable Care Act experiencing the most improvement. 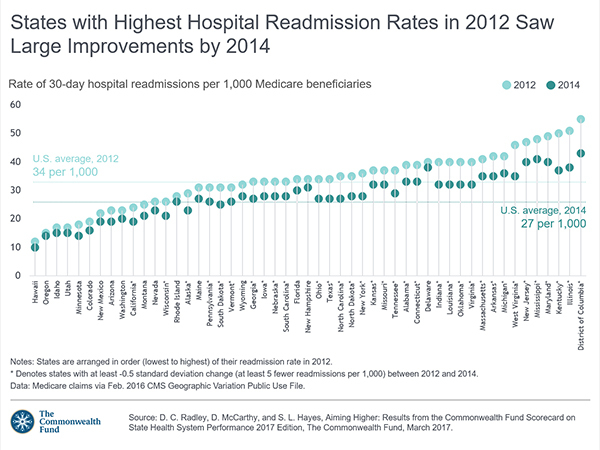 There were also widespread state improvements on key indicators of treatment quality and patient safety; hospital patient readmissions also fell in many states. 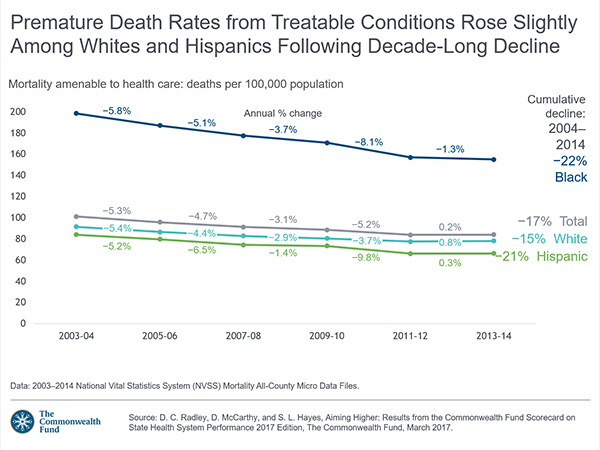 However, premature deaths crept up in almost two-thirds of states, reversing a long period of decline. 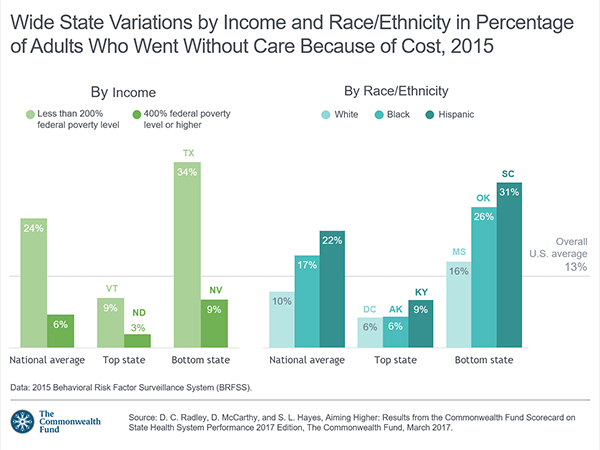 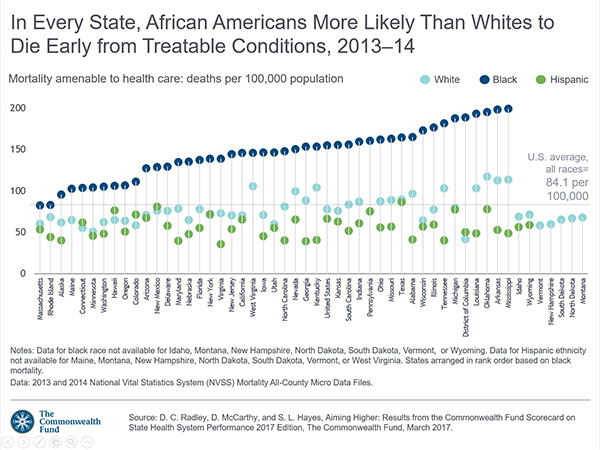 Wide variations in performance across states persisted, as did disparities experienced by vulnerable populations within states. 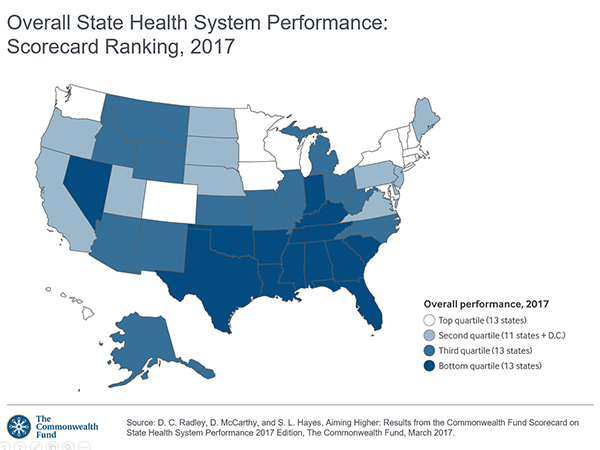 Visit the U.S. Health System Data Center for local area maps and profiles. 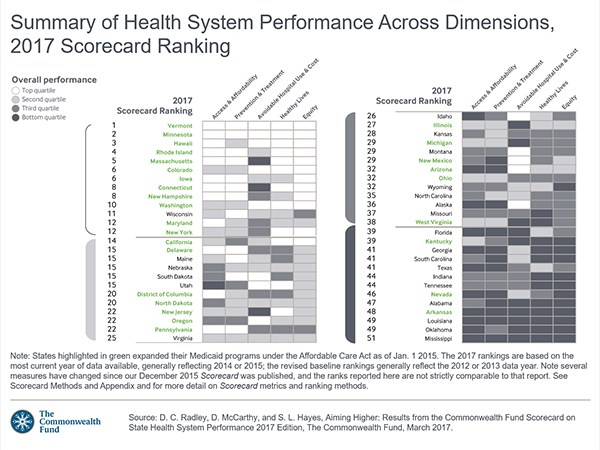 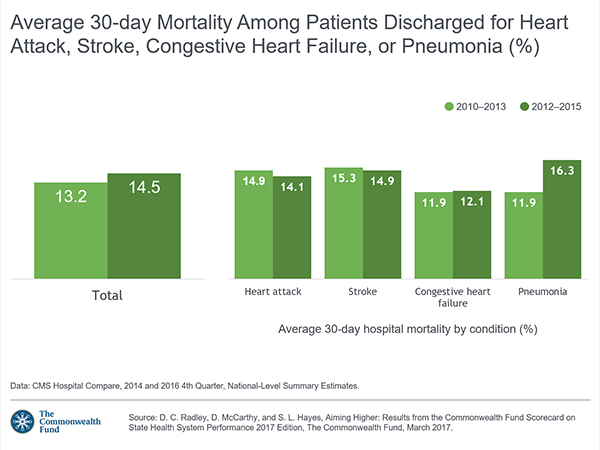 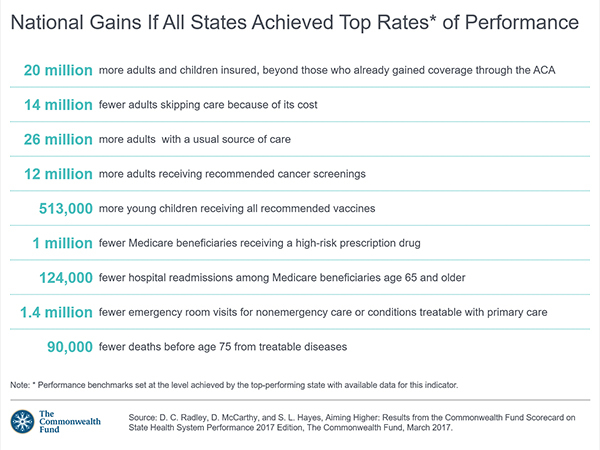 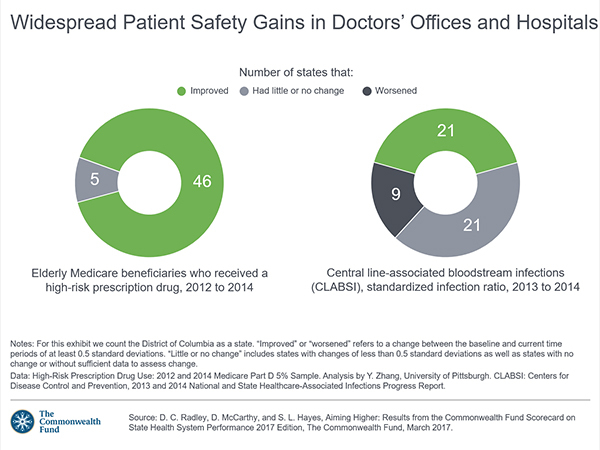 Citation: D. C. Radley, D. McCarthy, and S. L. Hayes, Aiming Higher: Results from the Commonwealth Fund Scorecard on State Health System Performance, 2017 Edition, The Commonwealth Fund, March 2017.